I am currently 25 and nowhere close to seeing a ring on my finger. I am single and have not been on a date for years. What if I am meant to be single forever? What if all of my friends get married and I am the only one left? But I will always get rebuked by The Truth. I think one the hardest part of being a Christian is waiting. 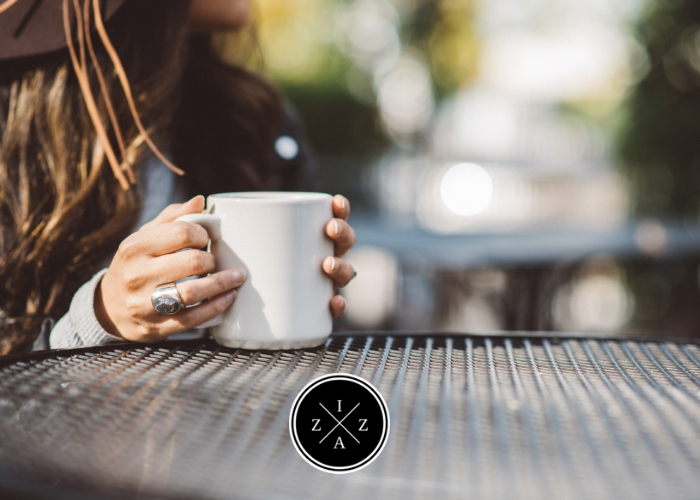 For most of us Christian single ladies, being single isn't what we planned. I mean, I didn’t want to be single and waiting at 25 for sure. If I am still living my life based on me, myself and I, I’ll be married and have kids now. At least that’s MY plan. But, I am thankful I found God because that would also mean I will just simply accept the love I think I deserve. And I don’t deserve no ordinary love for I am His daughter. I am worthy to be pursued. I am worthy of a love story that is worth telling and sharing and that glorifies Him and makes Him known. I used to say that to be in a relationship would complete my life. Sabi ko pa, magka-boyfriend lang ako that’s it, I will be the happiest girl ever. But as I became more in love with Jesus, as I got to know His ways, and get deeper in my relationship with Him something has changed within me. Something is not the same. 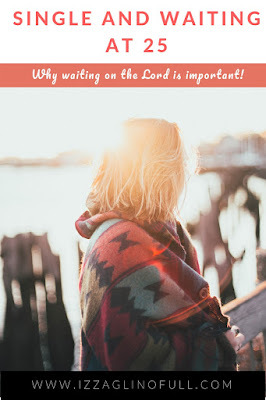 I realized, waiting on the Lord is important because it is an act of surrender. It is you lifting everything, all your plans, all your inhibitions to Him. It is you believing God is in control of every single part of your life. I see my singleness as a great opportunity to serve Him best. In the same way, a woman who is no longer married or has never been married can be devoted to the Lord and holy in body and in spirit. But a married woman has to think about her earthly responsibilities and how to please her husband. I am saying this for your benefit, not to place restrictions on you. I want you to do whatever will help you serve the Lord best, with as few distractions as possible. I am right where God wants me to be at the moment - single and waiting. And as to how long, only God knows. For now I can be happy and continuously growing as a human being. My singlehood is a great season to serve Him best, to fulfill my goals, to travel, to serve my parents, to grow (and spend) my money and many more. Faith should overcome fear. Valentine's day will pass by, but God's love will remain forever. Hmmmnn, you can tell that to me, im 30 and single😱. 😊I will always be inspired of how megan markle met prince harry... Go out and enjoy life, dont expect too much. I am not sure if it works ,,, anyway, like i said i am always inspired by how they met😊.